EDITOR’S NOTE: Updated at 9:15 p.m. EST on Jan. 22 (0215 GMT on Jan. 23) with end to government shutdown. Astronauts Mark Vande Hei and Scott Tingle plan to begin their excursion shortly after 7 a.m. EST (1200 GMT) Tuesday to begin work to replace a latching end effector on the station’s Canadian-built robotic arm. The U.S. space agency shut down its public and media relations offices Monday after government funding ran out at 12 a.m. EST (0500 GMT) Saturday. NASA officials stopped updating the agency’s social media accounts, and the spacewalk was set to go forward without live NASA TV coverage and commentary. But a reprieve was in the works Monday, with a Senate vote to restore federal government funding. The House of Representatives voted to approve the measure Monday evening, and President Trump signed the budget bill Monday night to re-open the government. The appropriations legislation passed by Congress on Monday will fund the government through Feb. 8, when lawmakers must again vote on a new budget, or else face another possible shutdown. Kenny Todd, NASA’s space station integration and operations manager, said last week operations aboard the orbiting research complex would go forward unhindered during any government shutdown, including Tuesday’s spacewalk and another excursion planned for Jan. 29 to wrap up the robotic arm arm repairs. In the event of a shutdown, the primary space station mission control center at NASA’s Johnson Space Center in Houston would be staffed with managers and engineers responsible for the outpost and its six-person crew, officials said. That goes for already-scheduled spacewalks, too. In a government shutdown, civil servants not deemed essential for the protection of life or property are sent home. 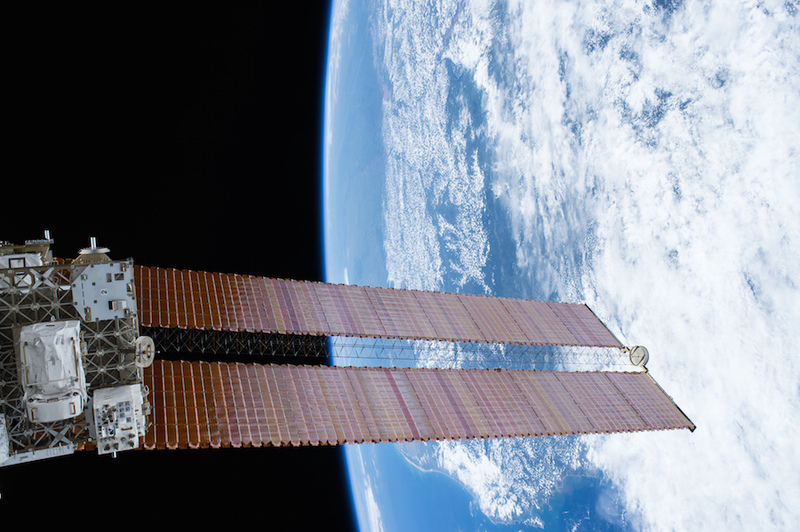 “From a space station operations standpoint, we’ve been up against this threat before,” Todd said. “It really doesn’t impact the way we do operations. The fact of the matter is, it’s an international program, we’re working with a bunch of partners around the world, we’re working with a bunch of investigators, some of the science and so forth has lifetime-type of limits to it, so we really can’t be in a position where we can’t support the mission. “And the mission is as much about the science as it is about we’ve got to keep the crew safe and we’ve got to keep the vehicle flying in the right direction, good and healthy,” Todd said. “So there’s a lot that goes into the day to day operations and we’ll continue to do day to day operations and our core mission there doesn’t change. The James Webb Space Telescope, a joint U.S.-European-Canadian observatory, was also expected to continue testing and preparations during the three-day shutdown for its launch next year. 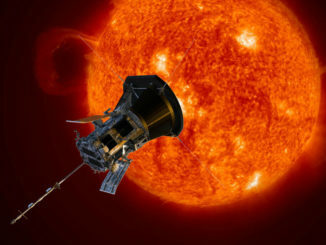 The telescope itself is located at the Johnson Space Center in Houston, where it completed a deep cryogenic test late last year simulating the conditions it will experience in space. 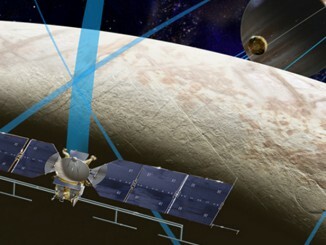 The next step for the telescope will be its shipment to a Northrop Grumman facility in Redondo Beach, California, where technicians and engineers will connect it to the spacecraft bus, which provides electrical power, propulsion and thermal control to the observatory. Commercial launch operations at two U.S. Air Force-run ranges at Cape Canaveral, Florida, and Vandenberg Air Force Base, California, were also expected to be affected by the shutdown until lawmakers reached a budget agreement Monday. A spokesperson for the Air Force’s 45th Space Wing, which provides safety, security and infrastructure support for launches at Cape Canaveral, said the military would be unable to test-firings and launch operations during the shutdown. SpaceX’s Falcon Heavy rocket is sitting at launch pad 39A at NASA’s Kennedy Space Center, which shares range resources with the 45th Space Wing. 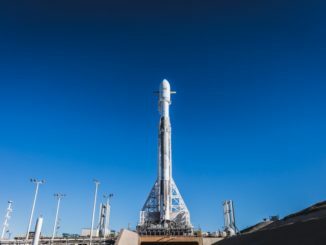 The SpaceX launch team has fueled the super-lifter multiple times in the last couple of weeks, demonstrations that are aimed at preparing the Falcon Heavy for its first all-up test-firing with 27 main engines. A date for the static fire test has not been set, but it could happen later this week with the re-opening of the government, assuming SpaceX engineers declare the rocket ready. The Falcon Heavy’s maiden launch is expected some time in February. Meanwhile, SpaceX was prepping a Falcon 9 rocket at the nearby Complex 40 launch pad at Cape Canaveral Air Force Station for its own hold-down firing later this week. 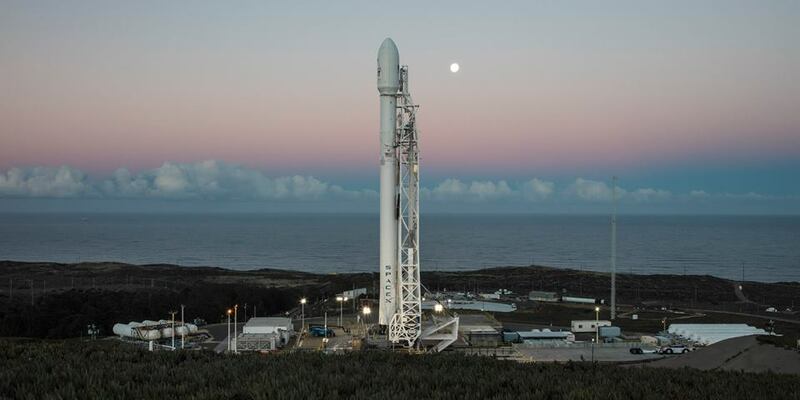 The Falcon 9 rocket is set for launch Jan. 30 with a military communications satellite jointly managed by SES and the government of Luxembourg. Two more Falcon 9 launches are on tap in February: One from Vandenberg Air Force Base with the Spanish Paz Earth observation satellite, and another from Cape Canaveral with the Hispasat 30W-6 communications craft, also owned by a Spanish company. SpaceX warned that those launches would be on hold until the government shutdown ended. United Launch Alliance’s next mission is scheduled for March 1 with NOAA’s GOES-S weather satellite. A ULA spokesperson said the company’s operations were continuing Monday.